Hi guys! Today here on the blog we're a part of the blog tour for These Things I've Done by Rebecca Phillips. I'm super excited to share my review with you guys, as well as an awesome giveaway from the author herself! Without further ado, let's get into it! I received an advanced copy of this book for review, and I'm so glad that I did because this book as been on my TBR for quite some time. As the summary explains, Dara played a key role in the accident that took her best friend Aubrey's life almost two years prior to when the story begins, and the story starts with Dara coming back to her hometown and her high school after spending a year away, because things were just too difficult for her. To make matters worse, she's practically being hazed by her peers, because (of course) not everybody knows the true story of what happened that night, and they think that Dara is just a cold-blooded killer. But of course, there's more to that story than what meets the eye. And to make matters even worse, when Dara comes back, she starts to fall for Aubrey's brother, Ethan -- also known as the brother of her dead best friend. The brother of her dead best friend that she still has intense guilt over killing, even if the situation was tricky and complicated and not really her fault, although it was in some ways...I'm really trying to explain it without spoiling it for you guys, but I think you're just going to have to read the book for yourself. And why not? It's really good! I really enjoyed this book! Like I said, I'd been looking forward to this one for awhile, especially because I wanted to delve deeper into Dara's story and what happened between her and Aubrey. The book flip-flops between two time periods (through alternating chapters), switching from present-day to two years ago, the year that Aubrey was killed. There's a lot more to the situation than you'd think, and as I read the book I was delightfully surprised with some plot twists, and even the chapters where you were just learning the history between Dara and Aubrey. And when you finally get to the part that describes what happened the day of the accident...I'll just say that the kids at school were very misguided when it came to their accusations towards Dara, and that there really was a lot more to the story that they realized, and that the rumors they had spread were what had spun the whole thing out of control. I'm running out of ways to say that this book is really good and interesting and worth reading, so I'm just going to say it -- this book is really good and interesting and worth reading. My favorite character in this book was definitely Ethan. He was super sweet and kind (and not to mention cute! ), and even when he definitely had reasons to not want to be around Dara or to defend her, there were several instances in which he did so anyway. Because Ethan is just such a great, kind, caring guy, so of course it was just a matter of time before Dara fell in love with him. Even if he was her dead best friend's little brother. So yeah...things between Ethan and Dara definitely got a little complicated, which was interesting to read, and it was even cute and sad at all the right times. I was also a big fan of Dara because although she had her problems and her demons to battle, you really got an inside look on what it was like for her to deal with her grief and her pain, and to be misunderstood by everybody around her. While the rest of the school was condemning her as a crazy murderer, as a reader I really got to see the inner workings of her mind. She definitely has her ups and downs, both with her family and her friends. And once you actually see what happened that day with her and Aubrey, it definitely opens up your eyes and explains to you whose accusations were right and whose were wrong. 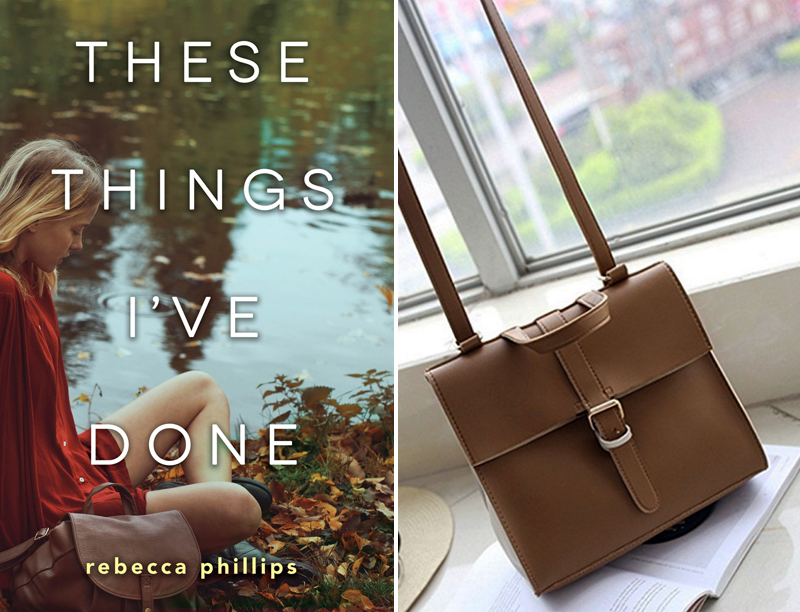 Rebecca Phillips was awesome enough to also include a giveaway as a part of this book tour, and that means that you guys have a chance to score some pretty awesome prizes! Enter to win a backpack like the one featured on the cover! Inside, you'll find a journal and pens like Dara's, your own copy of These Things I've Done, and maybe a couple of other little surprises! Giveaway open to US and Canada. 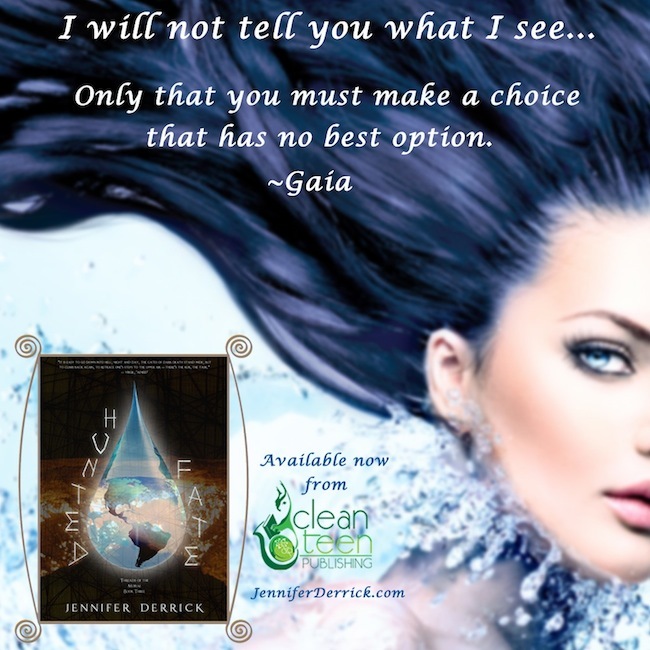 We'd like to once again thank Eric and Rebecca for allowing us to be a part of this blog tour! This was such a great read and I really enjoyed it. Plus we also got to participate in this awesome giveaway for you guys, which we always love doing! What You Need To Know About Quirk's Upcoming Book Pop! Hi everybody! We're here today on the blog with Kelsey from Quirk Books, and she's going to explain everything about their online book convention that launches tomorrow, appropriately titled Book Pop! So if you're curious about what the event is, how to participate, and what awesome prizes you can win, stick around and Kelsey will answer all of your questions! What exactly is Book Pop? This year Quirk is celebrating its 15-year anniversary and we wanted to come up with a fun way to give back to everyone who has supported us through the years. Book Pop! is our way of saying thanks and it’s also a way for us to bring a comic-con experience to people who might not be able to attend one in real life. We’re going to be hosting online events (we like to think of them as “panels”) where you can interact with authors and have a chance to win some great prizes. What kind of events are going on? There is SO much happening over the next two weeks, it’s hard to sum up! One day you might find an author (or two) doing a Facebook Live chat on our page, the next day they could be taking over our Twitter feed or streaming Live on Instagram. We even have a trivia contest happening at the end of the first week. Tomorrow, July 31st, we’ll be announcing the semi-finalists of our cosplay contest. 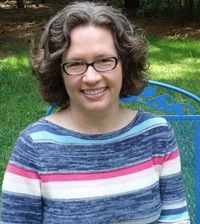 Some of our authors will also be writing special blog posts for our blog or doing Q&As on other blogs, like Forever Young Adult and Super Space Chick. Each day is bringing something new and fun to the table. It’s been so great to see it all come together over the past couple of months! There’s a full schedule of events (and even an interactive map) on our webpage. How can I participate in these events? Since everything is hosted online, all you have to do is check the schedule, visit the website hosting the event, and join in. For Facebook Live events, you can stream them live and comment/ask authors questions. Same for Instagram Live events, and the trivia contest. For Twitter Takeovers and the Twitter party, you just have to hop on Twitter and join in using #BookPop. On top of all the events, we’re also running a special challenge using code-words that will be announced during all of the events. The more code-words you collect, the more entries you have to win the grand prize. How long is Book Pop running until? Book Pop! starts Monday, July 31st and ends on Friday, August 11th. On the 11th, we’ll announce the winners of the grand prize and the cosplay contest. Outside of the online events, there are also in-real-life events at bookstores and libraries happening throughout the year. What kinds of prizes are being given away? During the live events, we’ll be giving away things like tote bags, as well as prizes from Cards Against Humanity and Roll20. We’ve also partnered with Cards Against Humanity, Jordandené, Roll20, and Out of Print for the main prizes, and the grand prize winner will get advance access to all of Quirk’s fall books! The cosplay contest winner will also win a prize from Espionage Cosmetics and Quirk (including a signed copy of Geekerella and advance access to our fall books). What authors are going to be a part of Book Pop? So many. We’re really lucky to have such amazing authors at Quirk. Here’s a full line-up of the authors participating in the live events: Ashley Poston (Geekerella), Sam Maggs (The Fangirl’s Guide to the Galaxy; Wonder Women), Ian Doescher (William Shakespare’s Star Wars series), Grady Hendrix (My Best Friend’s Exorcism; Horrorstor), Fred Van Lente (Ten Dead Comedians), Kim Smith (The X-Files: Earth Children are Weird; E.T. the Extra-Terrestrial), and Jon Morris (The Legion of Regrettable Supervillains). Additionally, we’ll be hosting blog posts and/or Q&As with Paul Krueger (Last Call at the Nightshade Lounge), Hope Nicholson (The Spectacular Sisterhood of Superwomen), Bonnie Burton (Crafting with Feminism), Cindy Wang (Literary Yarns), Tania Del Rio (Warren the 13th series) and Will Staehle (Warren the 13th series). How does the cosplay contest work? 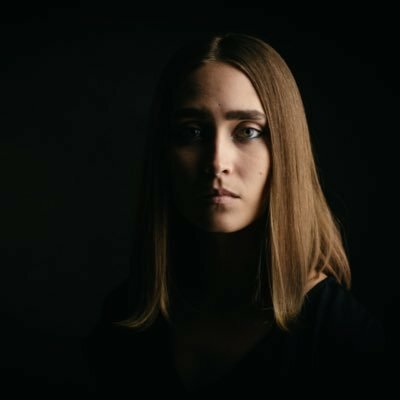 On Monday, August 7th, Ashley Poston will be picking the finalists during her Instagram Live chat. We’ll be sharing the finalists on Facebook for you all to vote on! We'd like to thank Kelsey and the whole team over at Quirk for being so awesome and participating in this guest post to tell our readers all about this awesome upcoming event! There are less than 24 hours on the clock until it's finally time for Book Pop!, and we couldn't be more excited about it. We'll definitely be participating in the panels and events and we have our fingers crossed to be one of the winners of that awesome grand prize! I received an advanced copy of this book from Sourcebooks in exchange, and I'm honestly so glad that I did. I didn't expect to be so engrossed in this book, but it seriously captivated me from the first word to the last, and I was even disappointed when it was over because I didn't want to end. In my opinion, this was a really, really good book. As the summary explains, Pato's friends and family happen to be in the wrong place at the wrong time, and they're the victims of an attack by a drug cartel. (Why did they attack that family party, you ask? You'll just have to read the book to find out.) Only Pato and three of his other friends manage to survive, but then the situation is so dire that they know they can't stay in Mexico anymore -- which means that they have to attempt to cross the border into the U.S. There are several problems with that, though -- they're broke, they're kids, and they have absolutely no idea what they're doing. So this book chronicles their journey across the desert as they struggle to stay alive and reach freedom, battling the many dangerous (and sometimes deadly) obstacles that come their way. This book really opened my eyes to a lot of things, which I thought was incredibly important and one of the best things about it. Not only did it show me firsthand experience through the eyes of Pato about the struggles and dangers that people in Mexico face every single day in their drug wars, but it also showed how dangerous and deadly crossing the U.S. border really is. I feel like there are a lot of people that think people from Mexico just hop through a hole in a fence and waltz around in America, immediately getting jobs and good lives and "taking away from hardworking Americans." (For the record, I completely disagree with this line of thought.) But what this book really demonstrates is how much hard work, heartbreak, and sacrifice goes into gaining just a small slice of freedom that American citizens are blessed with as their birthright and never have to work for at all. And once these immigrants get to the United States...things aren't pretty, or simple, and people are just doing what they have to do to survive, just like anybody else. A character that I really liked in this book was Gladys. Not only was she adorable and funny and creative, but she was such a good soul and kept the group together and grounded through all of the hardships they faced. Even when times were grim and some pretty terrible things were happening. Gladys and her good heart kept everything at least semi-positive and she refused to give up even when I definitely would have, and when her companions definitely wanted to. She was a good soul throughout the entire book, and she was funny and sweet and artistic and I can definitely see why Pato liked her as much as he did. (Minor spoilers ahead so please skip to the next paragraph if you don't want this book spoiled for you!) The only thing about this book that I wasn't crazy about was the ending, in the sense that I was left with so many questions that I didn't even remotely have answers to. Where did Marco go? Did they end up being captured? What happened when they got to Denver? And to Sr. Ortiz? And do they ever contact his children? What about Tito? There was just so much that I didn't know that I wish I did, and I was left with sooo many questions. But other than that, I really don't have any other complaints about the book. That's really it. Overall, I really enjoyed The Border. While the premise sounded interesting, I didn't expect to be sucked in so quickly, but before I knew it, I was unable to put the book down. Not only was the story itself so gripping, but Steve Schafer is such an excellent writer that his words leaving you wanting more and more. If this book isn't on your TBR yet, I definitely recommend adding it -- because even if you read the summary and think the book isn't your cup of tea, it's worth a shot, because if you're like me, you'll be delightfully surprised, and gasping with every turn of the page. Seriously guys. So many plot twists. 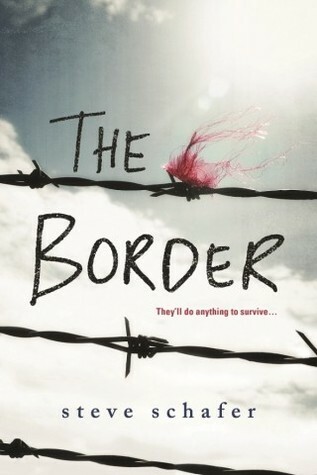 I'm so glad that I got the chance to review The Border, and if you get the chance, I definitely recommend you do it too! 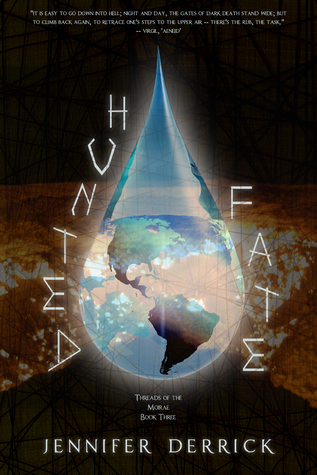 I'm looking forward to reading more from Steve Schafer in the future after this book, that's for sure. 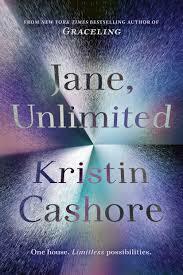 Summary: Jane has lived an ordinary life, raised by her aunt Magnolia—an adjunct professor and deep sea photographer. Jane counted on Magnolia to make the world feel expansive and to turn life into an adventure. But Aunt Magnolia was lost a few months ago in Antarctica on one of her expeditions. I received an ARC of this at BookCon and cannot wait to start reading this. I'm excited to find out the events that will unfold at Tu Reviens. I'm also curious about Jane's umbrella making obsession and hoping it leads to something interesting. Be sue to look back soon for my ARC review and after it's published, let us know your opinions! We'd like to thank the lovely team over at Xpresso for allowing us to be a part of this book tour! This giveaway and this book both seem super awesome and intriguing, and we can't wait to add this book to our TBR. Not to mention the fact that the excerpt is super captivating! Summary: When Suzette comes home to Los Angeles from her boarding school in New England, she isn't sure if she'll ever want to go back. L.A. is where her friends and family are (along with her crush, Emil). And her stepbrother, Lionel, who has been diagnosed with bipolar disorder, needs her emotional support. But as she settles into her old life, Suzette finds herself falling for someone new...the same girl her brother is in love with. When Lionel's disorder spirals out of control, Suzette is forced to confront her past mistakes and find a way to help her brother before he hurts himself--or worse. I received an advanced copy of this book at BookCon, and I'm not even ashamed to admit that I had total cover lust with this one, and that's what originally drew me to it when I had my choice of books to select as a prize for a spin-the-wheel game. And then when I read the summary, I was definitely drawn in -- because you guys, this book covers so many important topics and subjects and it was just an eye-opening experience on so many levels that I really appreciated and enjoyed reading about. What I really enjoyed about this book was how many important topics that it covered. 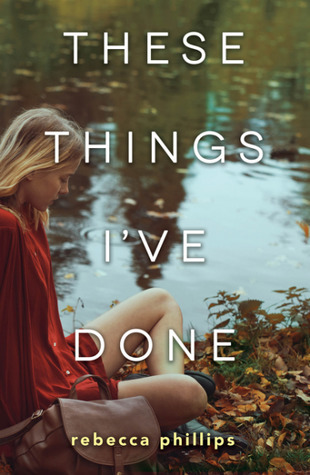 In just 320-ish pages, Brandy Colbert managed to dig deep into family ties, expression of religion, sexuality (and the feelings and fear behind questioning it), sibling/friend loyalty, polyamory, race, and mental illness. Each character in this book has some sort of rich, important story, which will help the reader delve deeper into one of the aforementioned topics. Not only did I find it interesting to see all of these topics incorporated into one incredible story, but I also learned some things about each of them that I haven't previously known before. If I had to choose, I'd definitely say that my favorite character in this book was Little. Even though she found herself in some tough situations that required making some undesirable choices (many of which she ended up regretting later, but some which she did not), she faced the consequences head on and just seemed so brave, and, most importantly, so genuine. I could really see myself being friends with somebody like Little. And the relationship she had with her family and her brother? I envy it. I have multiple siblings, but none of us are as close to one another as Little & Lion are. I also really enjoyed Lion's character as well. For starters, he is a total book nerd, which my heart goes out to (as I'm sure yours does too, since you're on a book blog reading a book review). I also feel that Brandy Colbert did a great job of portraying the ups and downs of his mental illness without making it seem too theatric or fake. Even his episodes, as scary as they were, seemed genuine and real and had me on the edge of my seat. 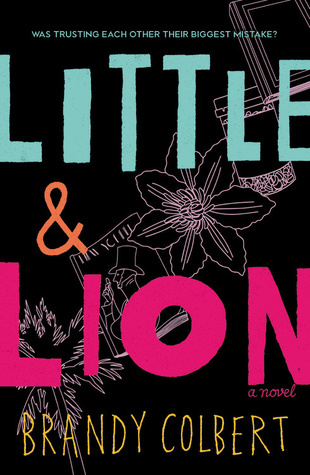 Overall, I really enjoyed Little & Lion. If you asked me what category to stick this book into, I'd honestly have a hard time telling you, since it fits into so many important realms in YA lit. If this book isn't on your TBR already, it definitely needs to be (and I know I say that a lot, but I seriously mean it this time! ), because this book will cover so many important topics, from relationships to romance to friendship and family to even mental illness. Seriously, this book leaves no stone left unturned and I was incredibly surprised (and grateful) for it. So hats off to Brandy Colbert, because I really enjoyed this one. I'm looking forward to reading more books from her in the future! Release Week Blitz: Meet Me Under The Stars by KD Proctor! Rafflecopter link- Two SWAG boxes with $25.00 gift card, signed paperback, and other goodies! We'd like to thank the lovely team over at BookFish for including us in another spectacular blitz! Based on the teasers alone, the book is definitely something that we want to be checking out. If this book isn't on your TBR, add it ASAP -- because we are, too!